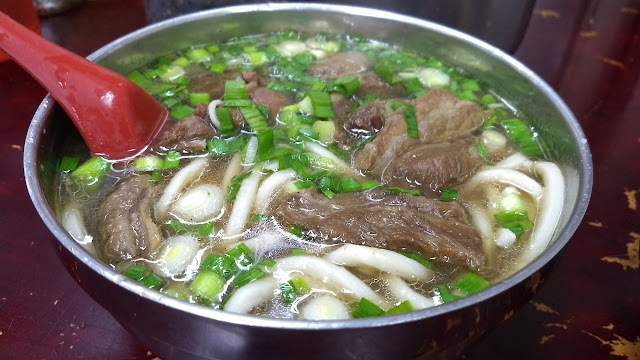 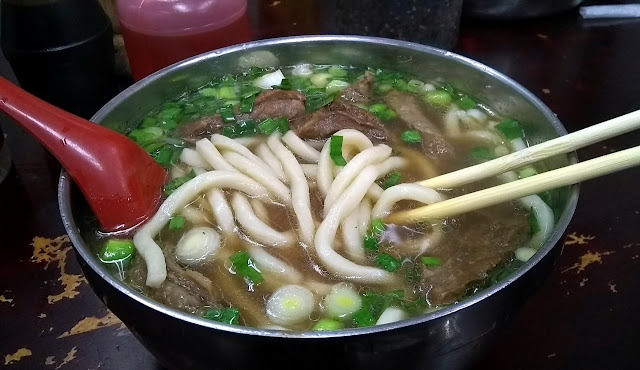 On our way to the airport to travel home from Taipei, we used the convenient baggage check at Taipei Main Station and headed out for some noodle soup. Our destination was Liu Shandong Beef Noodles. 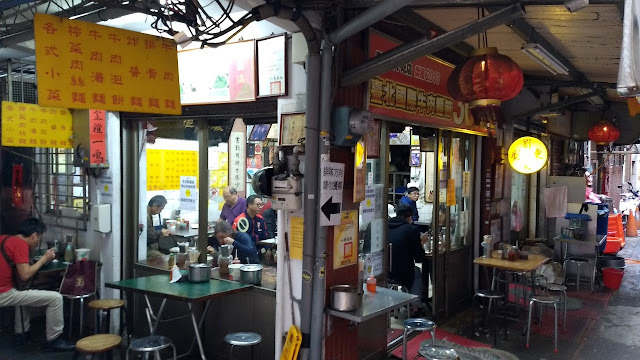 Located on a corner at the intersection of two alleys, this place just oozed atmosphere. 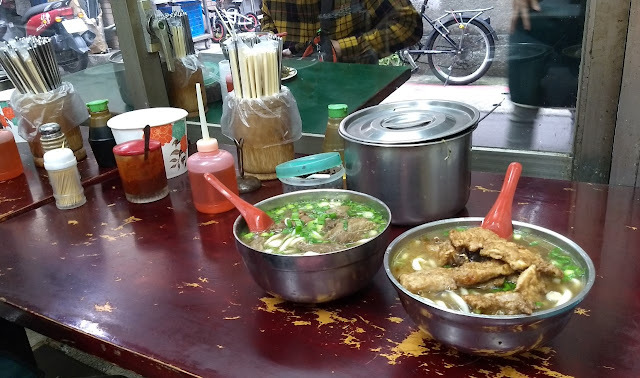 We sat down and ordered a couple of bowls of noodle soup - one beef, and one pork chop. They arrived steaming hot and very generously sized. 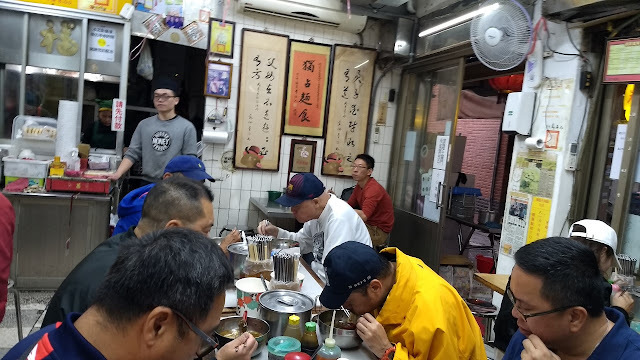 The beef bowl was very tasty, but on this occasion I think I may have enjoyed the pork chop version a little bit more. 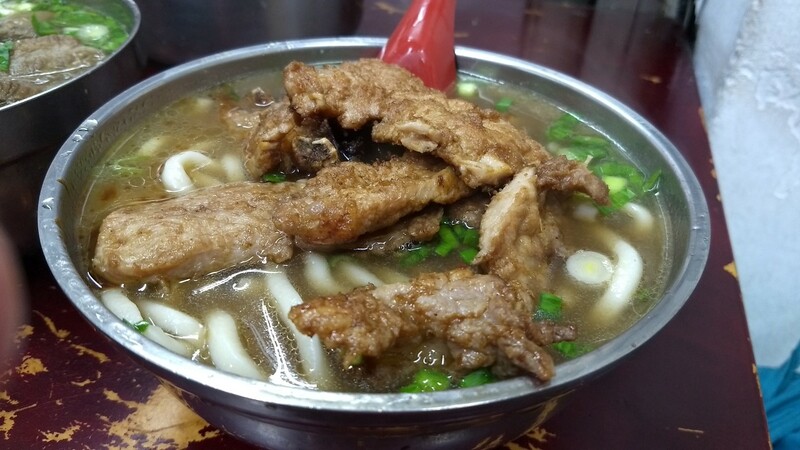 The lightly coated pork that had been fried before being added to the bowl really hit the spot on this rainy afternoon. We took our time enjoying our noodles, listening to the happy slurping going on at the tables around us. It was a perfect last outing before we descended back into Taipei Main Station to board the airport MRT.